Elizabeth City, NC – Even as it transitions to new tow ratings based on SAE J2807 Recommended Practices, the 2015 Chevrolet Silverado 1500 will remain one of the strongest pickups available in the Elizabeth City area. In fact, even with the new ratings, the 2015 Silverado will continue to offer an available 12,000-pound maximum trailer weight rating. 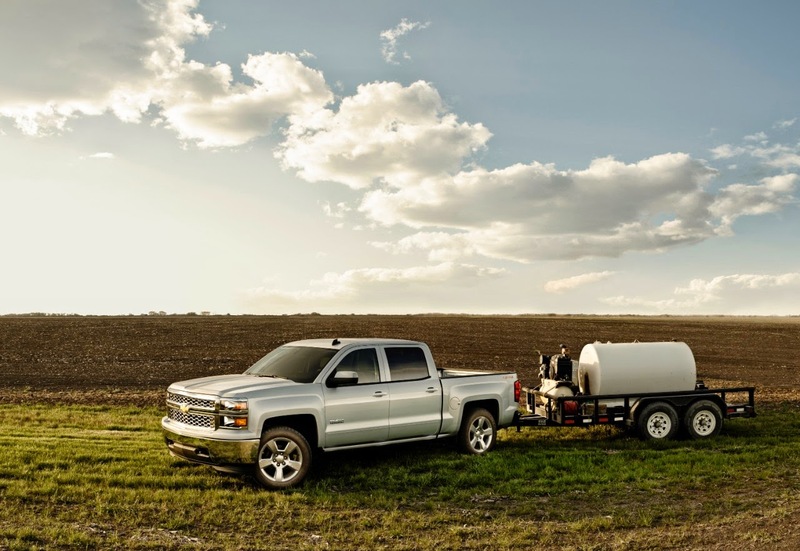 The 2015 Silverado 1500 will be available with a number of features engineered for serious towing. The optional 6.2L EcoTec3 V-8, available later this fall, will offer 420 horsepower and 460 lb-ft of torque, making it the most powerful engine offered in any light-duty pickup. Like other EcoTec3 engines, it combines proven performance with advanced fuel-saving technologies, and can seamlessly switch to four cylinders to improve efficiency in light-load driving. The available NHT Max Trailering Package includes a 9.76-inch rear axle, heavy-duty rear springs, revised shock tuning for increased control, enhanced cooling, and an integrated trailer brake controller. Also included is an automatic locking rear differential, trailer hitch, and bumper-mounted 4- and 7-pin connectors. Combined, the 6.2L EcoTec3 V-8 and max trailering package will give the 2015 Silverado 1500 2WD double-cab a 12,000 pound trailer weight rating. The comparable 4x4 version will have a trailer weight rating of 11,900 pounds. Silverado’s standard 4.3L EcoTec3 V-6 and available 5.3L EcoTec3 V-8 also will offer significant towing capability for 2015, with maximum available trailer weight ratings of 11,200 pounds for the 5.3L V-8 and 7,600 pounds for the V-6. As always, customers need to determine the appropriate vehicle and trailering capacity for their particular situation, including the curb weight of their specific vehicle, the number of passengers they will actually carry, the actual tongue weight for their combination, the amount of cargo in their vehicle, and the weight of the load they plan to tow. Towing experts at Performance Chevrolet are ready to help customers find a truck that suits their needs. Regardless of engine, cab, or bed selection, the foundation of all 2015 Silverado 1500s is a fully boxed high-strength steel frame. Extensive use of high-strength steels in the frame and body structure also contributes to a quieter interior and more solid feel, and helps Silverado earn a 5-Star Overall Vehicle Score for safety in the newest government crash tests. Government 5-Star Safety Ratings are part of the U.S. Department of Transportation’s New Car Assessment Program. If you're ready to enjoy summer in the season's best pickup truck that is perfect for both work and play, come see us at our Columbia Area Chevrolet Dealer to take the 2014 Chevrolet Silverado for a test drive and check out ourNew Chevrolet Cars. Perry Auto Group has two dealership locations at 1005 W. Ehringhaus St, Elizabeth City, NC, 27909 or 1001 Halstead Blvd Elizabeth City, NC 27909.